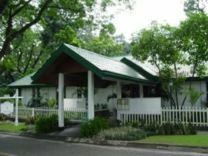 Located inside Clark’s famous Mimosa Leisure Estate is one of the top restaurants in the Philippines. YATS Restaurant is well regarded not only by visitors coming to Pampanga Clark Freeport from Manila but also many arriving from abroad for golf, business, leisure or other purposes. Chef Patrice Martelly recently joined YATS and assumed the role of executive chef, setting out quickly to bolster its reputation as the leading fine-dining restaurant in Clark and Pampanga. 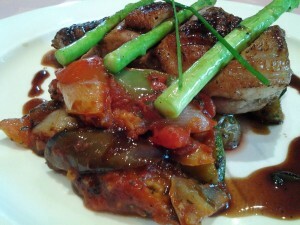 Of special interest to foodies planning for an memorable evening at YATS Restaurant is the availability of gourmet items on the menu, things that are rarely seen in the Philippines. Popular among foodies are juicy tender duck breast from China, venison from New Zealand, Boston lobsters, Turbot fish, crocodile meat, pigeon and Kangaroo loin. But exotic meat and seafood aren’t really all that YATS offers. Built from a strong French Continental Cuisine foundation, the food of YATS is really about delivering consistently high quality preparation using nothing but the best ingredients. While that immediately smacks of exorbitant prices, guests who have dined at YATS restaurant invariably were taken by surprise at how reasonable (read low) the prices are compared to establishments of similar stature even in Manila.